Corporate events serve a wide range of important purposes, focusing on everything from fundraising efforts to celebrating a successful year with your employees. The variety of event sizes, goals, and budgets can make planning and executing a successful corporate event a complex and seemingly insurmountable task. Here are five tips to help ensure your next corporate event is a memorable success. Before you can look into specific details like venue selection and attendee lists, you first need to establish the overall goal of your event. Whether your aim is to have a target fundraising goal, to impress clients, or simply to celebrate your employees’ hard work, establishing the purpose behind your event early on will set you up for success in the rest of the planning process. It also helps provide context to the event so you and the attendees know what to expect. Planning a corporate event is a daunting task, and without the help of an event planner, you may end up coordinating information between designers, decorators, caterers, and your company. Choosing a professional corporate event planner with the know-how and experience to handle all aspects of your event will make the entire process a breeze. Do-it-all event planners like Event Lab have connections and resources to streamline every detail of your event, making sure you’re not trying to coordinate with multiple vendors on your own. This can help ensure that your event runs without a hitch and that you maintain a cohesive look and feel across all parts of the event. The venue you select will set the tone for your entire event. After you’ve determined the purpose of your event and the number of attendees, selecting the venue becomes your first major task. 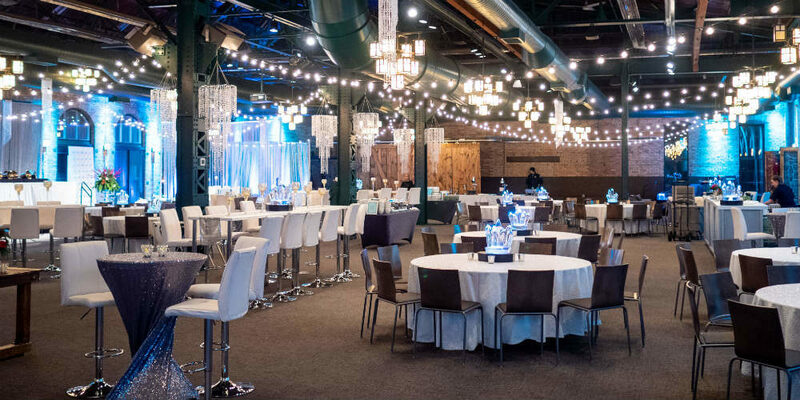 The number of event venues across the country continues to increase, providing an outstanding variety of options to fit different event styles, sizes, and atmospheres. Working with a corporate event planner allows you take advantage of special relationships these professionals have with more exclusive venues. These professionals can also help narrow down the dizzying list of venue options to those that best align with your event logistics and style. Interactive activities are a key component of corporate events that non-professional planners often neglect. Outside of enjoying a meal and socializing with other attendees, you can leave a wonderful impression on your guests through unique activities at your corporate event. Whether you choose a trendy photo booth to document your attendees’ excitement or special entertainment like musical acts, providing activities helps bring more interaction and creativity to your event – and also creates lasting memories for everyone involved. Professional corporate event planners often have props in their inventory for event activities and can offer suggestions as to the newest trends for best engaging with your guests. Many corporate event venues are in major cities or metropolitan areas, which can make parking and transportation a challenge for your guests. Particularly if you have guests flying in for the event or coming from multiple locations, providing transportation for your guests will make their entire evening more enjoyable. Coordinating transportation from different locations for many guests can be complicated. A professional corporate event planner can include comprehensive transportation plans to ease your guests’ evening. Providing these details to guests ahead of time will help them look forward to the event without the stress of arranging their own rides and finding parking in expensive and crowded areas. Corporate events can be exhausting and time consuming to plan, particularly if you haven’t planned many events before. Following these five tips will help ensure your corporate event is a lasting success for all of the attendees and for your company. A professional corporate event planner can help coordinate the details to ensure you make the most of your event. Contact Event Lab today to discuss your event with an event specialist or explore our past corporate events for inspiration.